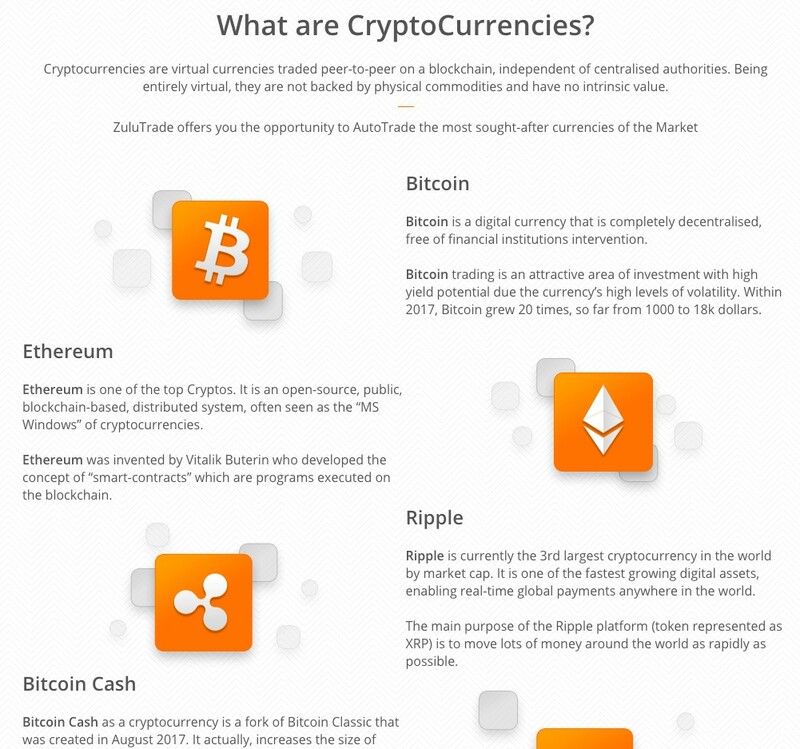 ZuluTrade is a worldwide social trading and copy trading platform for the foreign exchange (forex) market and cryptocurrency market. 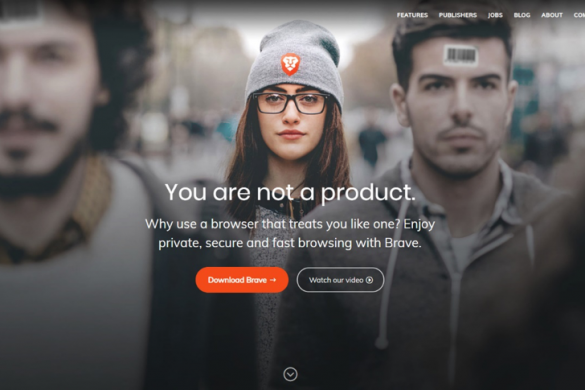 It is exceedingly popular, with over 1 million users and $1.1 trillion in daily volume executed between all its active member accounts. These impressive statistics have helped ZuluTrade become an epicenter of discussion and social momentum for market participants. Traders can use its platform to copy and obtain the returns as the best ZuluTrade users, without being forced to pay attention to charts or analysis. ZuluTrade will then warn you that you need to complete two more steps before trading. 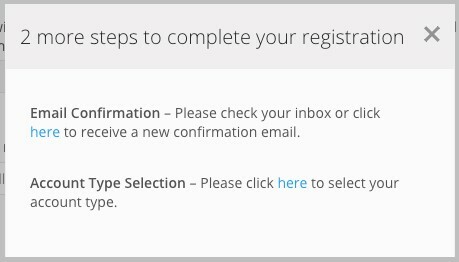 A small pop-up that appears after signing up prompts you to verify your email and select an account type. Go to the email account you used to sign up with, find ZuluTrade’s email and then click on the Confirm Email button within the email itself. You’ll then be directed to the same pop up, now with one task listed on it. Click on the link on the pop-up. You’ll be asked to pick from one of two account types. 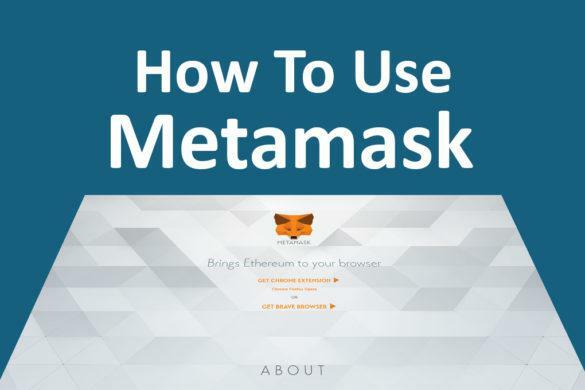 The first is Classic, and it allows you to trade manually or with custom preferences (including copy trades) and operate on a volume-based fee schedule. The other account type, Profit Sharing, is similar but uses a reciprocal model whereby traders you copy are compensated with your profits, but also share in your losses. The next step is to choose which broker you want to trade through. 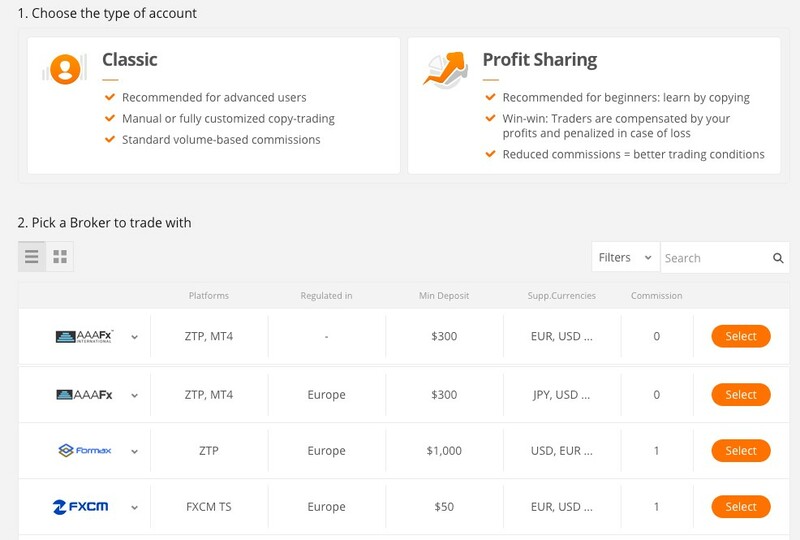 ZuluTrade is a copy trading platform and not a financial institution or broker, and so you’ll need to choose which broker you want to handle your trades. There are many listed, so you’ll choose one that is regulated in your area, matches your deposit and commission preferences, and supports the cryptos you wish to trade. If you’re already a customer of one of these listed brokers, select it to proceed. By selecting your existing broker if it is listed, you can skip the next step. If you don’t have a broker, then you’ll be redirected to the site of the broker you just chose, where you’ll give all the identifying and financial information required to trade. We’ll use FXCM as an example. The information required by this broker includes your full name, email address, account type, currency type, citizenship and nationality, place and date of birth, social ID number, photo ID and proof of residence, gender, and more. This is the same data you would provide to any financial entity you wish to join: bank, broker, or otherwise. Once the broker has verified your information, then the pop-up “Your account is pending activation from your broker”, will disappear and you can fund your account. This is possible by going to your Account page and clicking on the Funds link. 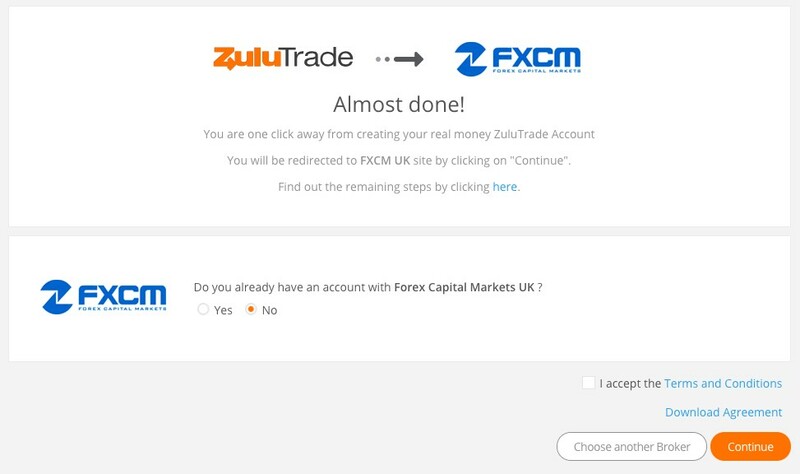 You’ll be redirected to the deposit page of whichever broker you chose to associate with your ZuluTrade account. If you picked a broker that you’re already a client of, then you’ll already see your funds and can transfer them to ZuluTrade. If not, you can go through the very basic process of linking a bank account and go from there. 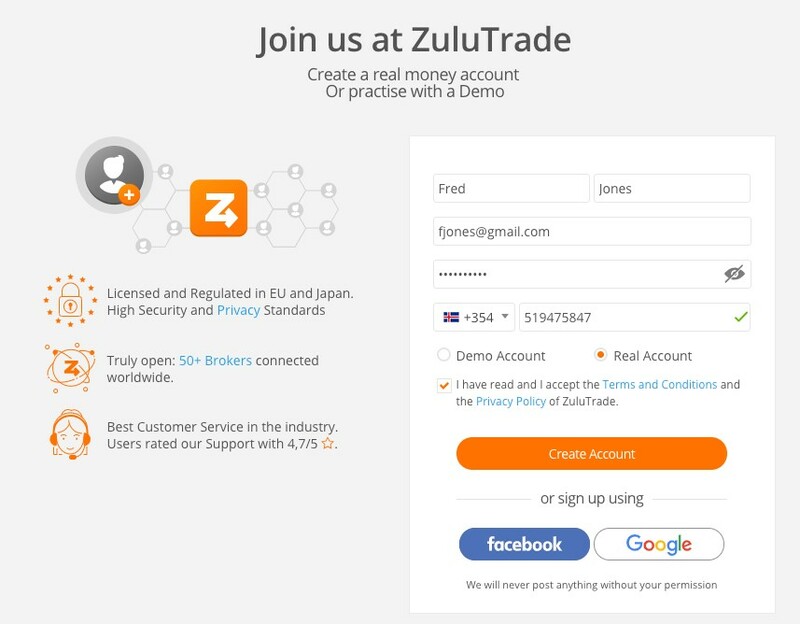 It’s fairly straightforward to get started trading on ZuluTrade once you’ve funded your brokerage account. 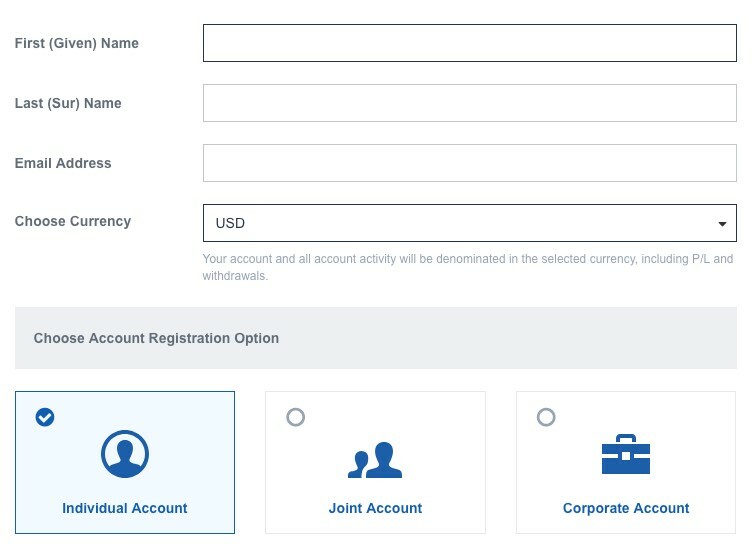 After completing the verification steps and connecting to your broker, the first time that you log in you will see a window that offers a few ways to customize your experience. You’ll first choose what portion of your deposited funds you want to trade with. Whatever portion of your funds you decide not to allocate will sit in your account. Risk Appetite allows you to adjust which Signal Providers (traders) feature prominently on your feed. If your profile is high risk, for example, you’ll see more traders with strategies that can produce high returns, but also potential drawdowns. Once you adjust your risk, you can pick from a few traders to follow right off the bat. If you choose to follow some of those that appear in the pop-up, you’ll be brought to a page where you can start automatically copy-trading based on these users immediately. 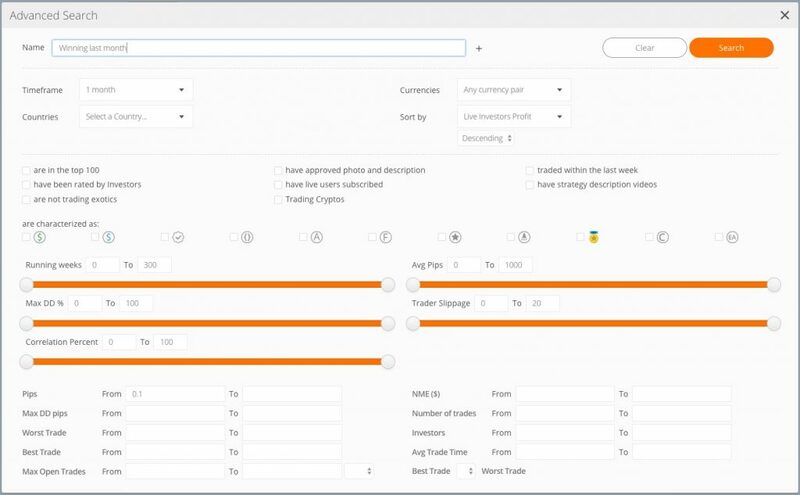 You can also choose to sort through the wide selection of traders on the All Traders page and conduct some more due diligence. There are some useful filters here that allow you to narrow down which Signal Providers you want to appear on the list based on criteria like their rank in the top 100, assets of choice, risk appetite, performance, slippage, nationality, language and much more. When you identify a suitable trader that matches your preferences, click on their user name to review their profile. Here you’ll find out how profitable they are and on which time frames, their audience, open and closed trades, charts and more. 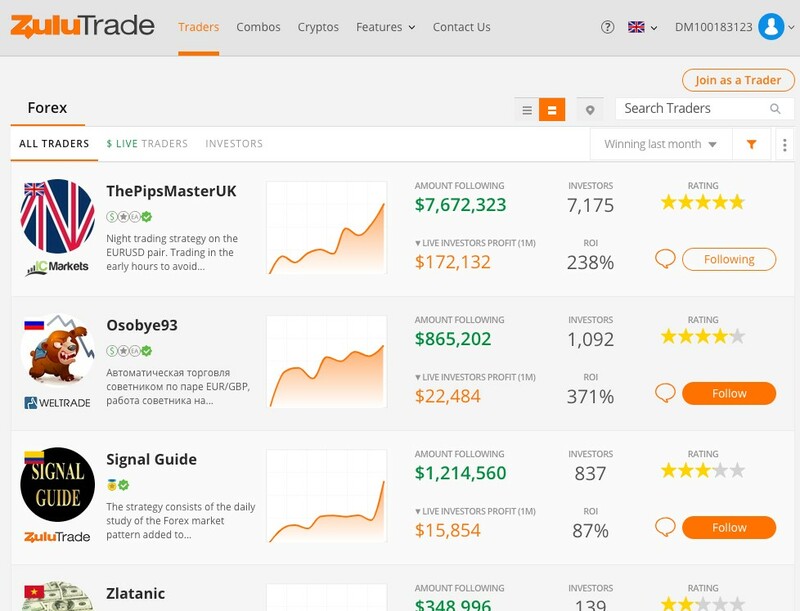 Follow a trader to see the details of their trading style and choose how much you want to allocate to their trades. On ZuluTrade, you’re basically managing a portfolio of traders instead of assets, so anyone you’re following should match your personal preferences, and you should always follow a healthy mix of traders instead of putting all your eggs in one basket. If you want to include crypto traders in your portfolio, then you can filter using the option ‘Trading Cryptos’ to only view users who trade across this market. ZuluTrade’s crypto follow functionality is the exact same as it is for other assets, and crypto traders will appear alongside forex traders in your own portfolio. 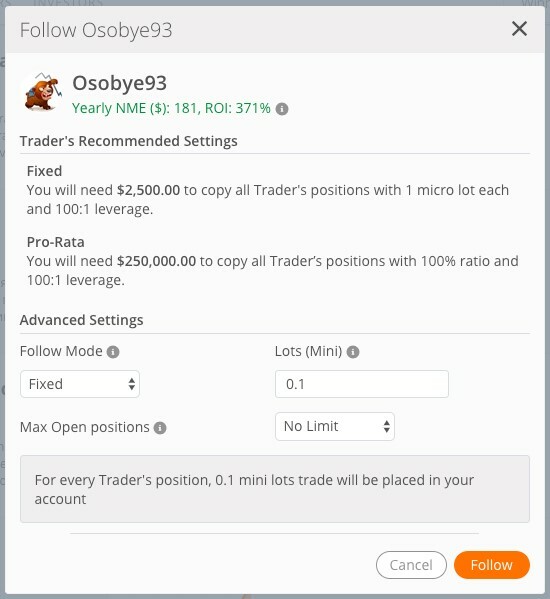 After you’ve chosen a solid variety of traders, you can click on your account portrait on the top right and click on Dashboard. 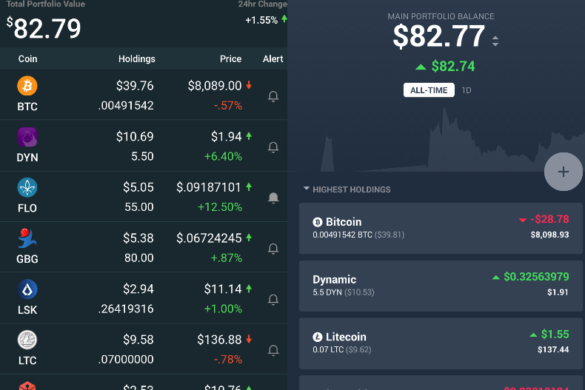 You’ll be presented with a list of your followed traders on the left side, a chart of your portfolio performance, total equity, margin, and more. Don’t worry if the chart is blank even after following multiple Signal Providers as they may need to open new positions before you can ‘take action’ as well. You can also find a plethora of extra utility with tools such as Lock Trade, which sends you an alert when one of your Signal Providers is about to execute a trade, asking for confirmation. Another great addition is ZuluGuard, which identifies trade patterns that aren’t consistent with the profile of that specific Signal Provider and keeps you out of the trade. ZuluTrade is fully regulated and licensed by the HCMC and therefore provides services to over 192 different countries, including the United States, UK, EU countries and the Middle East as well. 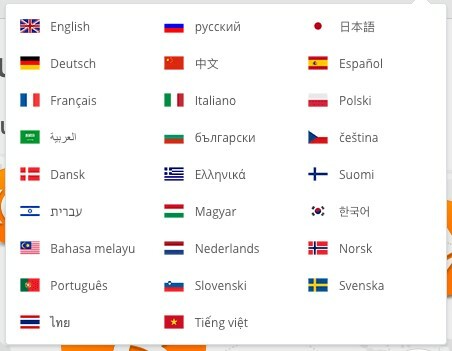 Operating in over 24 different languages, ZuluTrade is prepared to support traders in every corner of the globe. 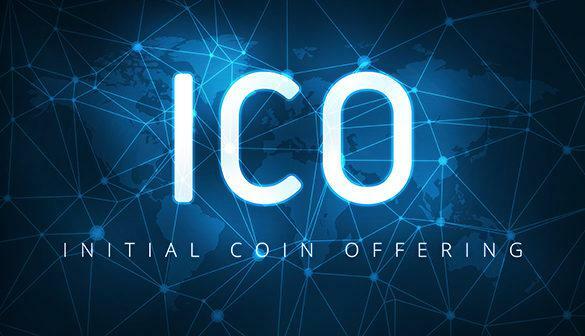 A far cry from the unregulated and volatile cryptocurrency exchanges that are popular on the fringes of finance, ZuluTrade instead incorporates a small group of legacy cryptocurrencies, and does not settle cryptocurrency trades using cryptocurrency assets themselves. Instead, the five cryptocoins listed are traded using derivatives that mirror their prices: Bitcoin (BTC), Ethereum (ETH), Litecoin (LTC), Ripple (XRP), and Bitcoin Cash (BCH). ZuluTrade’s connected brokers are the source of most of its fees, which are few. The ZuluTrade commission is a portion of the marked-up spread taken by your chosen broker, which ranges from 0 pips if one connects to ZuluTrade’s own broker AAAfx to 3 pips with other brokers. This is applied to the spread, which is the difference between the asset’s current buy and sell prices. A rollover fee is also imposed on certain currency pairs if they’re held overnight, which is negligible in the short-term but can add up if the position is kept open for a long time. As far as Signal Providers fees, they’re paid by ZuluTrade directly, so Followers need not worry. Their maximum total draw-down (decline) must not exceed their profit in pips. No positions are allowed to reach a loss of over 700 pips. Traders are required to implement Stop-Loss orders at safe intervals or risk being downgraded by the ZuluTrade reputation system. Finally, markets are only open from 22:00 UTC on Sunday to 22:00 UTC on Friday, and closed in-between. For more avid cryptocurrency traders that are accustomed to 24 hour trading 7 days a week, this means they will be unable to participate during weekend hours. The brokers associated with ZuluTrade accept a large variety of payment methods. These include PayPal, credit card, bank wire transfer, Western Union, and more. Not all payment methods are accepted universally by all brokers, so it’s smart to do a bit of research before picking one. As far as cryptocurrency goes, ZuluTrade doesn’t handle crypto directly and therefore has no wallet infrastructure contained within its platform. You can trade with crypto assets but only using fiat money and withdrawing cryptocurrency is also not possible. ZuluTrade is well known as a secure financial platform and uses a wide variety of modern security methods to protect its stakeholders. 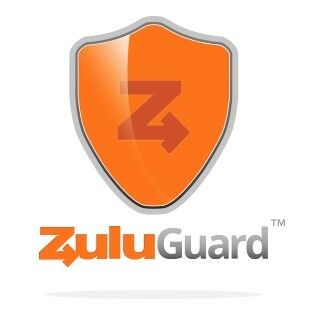 In addition to all the standard site and funds protection methods, ZuluGuard is a feature that is wildly popular for its ability to protect Followers against erratic, inconsistent signals that diverge from one’s risk strategy. It’s also relevant to note that ZuluTrade is fully regulated and licensed and must abide by international laws designed to protect investors. In a deep dive into forums and other trading hubs, ZuluTrade was found to have a stellar reputation, which is reflected in the sheer number of live traders on its platform. A big part of its good word in the community is the customer service team, which speaks over 20 languages and is available 24/5 anywhere in the world. Traders often report that the service team is willing to stay on the line upwards of an hour to address issues or questions. ZuluTrade secured the 2nd position in our Best social trading platforms for crypto investors roundup. ZuluTrade allows anyone to effortlessly identify forex and cryptocurrency traders who have proven their success and create a custom portfolio based on their amalgamated trades. 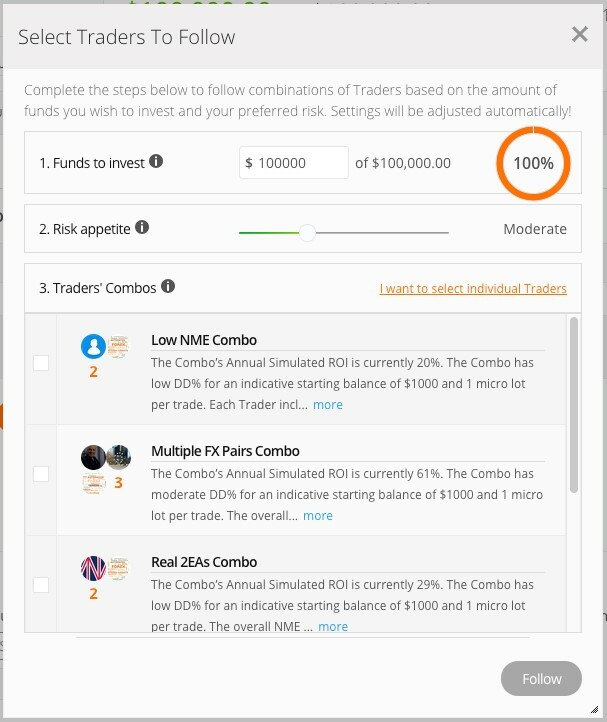 This strategy is a comprehensive way to expose your capital to multiple assets and trading styles, and ZuluTrade provides several unique features to make it even more effective. With social charting and discussions, a strong reputation system based on detailed tracking of each Signal Provider, and tools like ZuluGuard, traders can feel confident that auto-trades are relevant and optimized for their exact crypto preferences.